Four-stroke outboard motors are becoming increasingly popular for use on pleasure boats and ski boats for a variety of reasons. 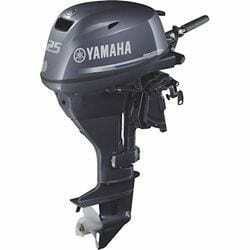 At Freedom Boat Club, we exclusively use Yamaha four-stroke motors. In the last four years, fiberglass outboard registrations have increased 29.8 percent while inboard/outboards (I/O) have declined 18.2 percent. In other words, more people want four-stroke outboards. Outboards are designed specifically for boating. Most inboard/outboard motors are automobile engines that have been modified for use in a boat. Outboards provide more room because they are installed on the transom. I/O engines are in the cockpit, which takes up space that can be used for other uses. The Yamaha four-stroke motors offer higher performance. They are quicker to plane, quicker from 0-30 MPH, and faster top-end per horsepower. Four-stroke outboards offer much better fuel economy. Outboards offer better power-to-weight ratio. Typical a four-stroke outboard is approximately 400-500 pounds lighter than its I/O counterpart. Outboards have a more shallow draft, allowing you to fish and boat in more shallow water. If you hit anything with an outboard, it will be less expensive to fix. Outboard motors are much more accessible, require less maintenance and do not require winterizing. A boat equipped with an outboard is easier to re-power or trade up to more HP or newer technology. To replace an inboard/outboard is more costly and time consuming.